A while back, a couple of years now, I converted an older laptop into a file server using the server edition of ubuntu. The purpose was to allow me and my family to back up our local files. Then my kids got iPods and now we were each starting to collect music locally. And this file server became our shared music server. Then, of course, they wanted digital copies of our DVDs. And with all our photos added, our little server that could became our media server. We used VLC on our computers to watch, listen and view all of this. But we wanted the living room, ten foot, interface. After looking around a bit, I came across the Western Digital WDTV Live box. It allows for Standard Definition and High Definition connectons; and an ethernet jack. Just what I needed. We initial used it to watch our backed up DVDs and video Podcasts. It served our purposes nicely. It also came with pandora, flickr and youtube support. And we used it all. My idea was to in the future sometime when I had an HDTV that I would get a better box, Boxee Box, Popbox or somethinig. Well I never got the shinny new HDTV but we wanted to consume our media on other standard TVs. So I figured I would just get another WDTV Live. When I seached I noticed the WDTV Live Plus with Netflix. I bought it. And now wish my old box had Nelflix. The Live Plus also has Mediafly support. So I don’t need to download all my podcasts anymore, I just stream them. The WDTV user interface is ok, just ok. It’s no AppleTV, Boxee or XBMC by any means. But once you get to the movie, you never really need the interface at all. The codec support is outstanding. It plays iPod movies and .MKVs. I have installed the MediaTomb server software on my little server, but really don’t need it. On a five star rating, I would give the WDTV Live Plus a solid four. The interface is not as flashy as it could be, but it does everything I need it to. Pros: Netflix, Codec Support, Plays Local and Networked Media, Pandora, Flickr and Youtube support. 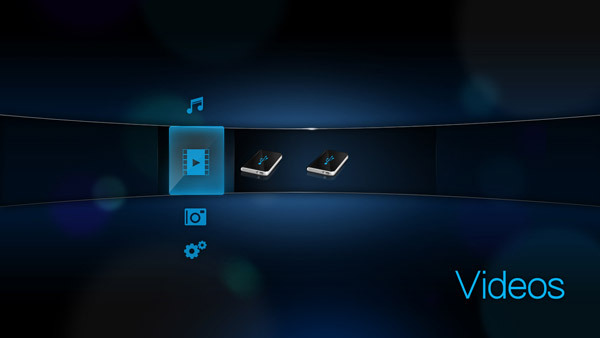 So As I type this, the WDTV Live Plus might be the best set top box on the market. Again, at this very moment. Here comes the new AppleTV, GoogleTV and the Boxee Box. Last night my family and I traveled to Edmond to a Celebration of Life. The family and the recently departed was a lover of Dixieland music. And they hired ina trio of players, banjo, trumpet and trombone. They played for almost two hours and were outstanding. I have always been a bit envious of folks who can play music so effortlessly. These three gentlement just loved this music and it showed in their playing. We all enjoyed as well. We later thought this would be a great addition to any wedding or any other large gathering, a BBQ picnic, perhaps. We had a great time due to the people in attendence and the great music. A big thanks to the family for allowing us to attend. A few months ago, my father-in-law told me of a new adventure that he and his brother were cooking up for May. He gave me the line up of usual suspects, six guys, fun guys really. All ready willing and able to take on this task. The adventure was simple. The men booked a trip to Lake Texoma for Striper Fishing with Sparky’s Guide Service. This was our mission and we chose to accept it. All we had to do was wait for the day to arrive. Boy, oh boy, was that hard to do. As the day got closer, more and more sleepless nights were had. The crew gathered Friday night out on the docks where one of the men injured himself on an old dirty rusty pipe. I rushed him for emergency medical care in Durant. The man that he is, he didn’t shed a tear over the ordeal. We left the docks about 6’ish Saturday morning and headed out to a spot with our guide, Eddy. He stopped the boat over the spot. And sure, he had all the latest GPS/Fish Finder technology, but it seemed that he sensed where to the mother load was. He started to hand out the poles and bate the hooks. Asking if we knew how to handle the bate casting gear. He had six experienced seasoned fishermen – of course we did. By the time he baited the last one, we had a fish on! More than a couple of times, all six of us were reeling in a fish at the same time. The limit was ten fish each, 70 including the guide. But we estimate we drug in about 200. We released quite a few. So after two hours, yup, 8:30 we headed back to the docks to watch the masters filet the catch. After a short break, we started fishing of the dock near where the guides clean the stripers, using parts of the discarded carcasses for bate. The rate that we were catching wasn’t as fast as earlier in the day. But it was just as fun. As the sun was setting, one of the team member hooked into a large one. With all us and all the other onlookers cheering him on, he pulled in an 18 pound buffalo. You can see pictures of this and more from the day. Later that night we fried some to sample and they were perfect. This is a simple test of my new vim plugin, vimpress. It allows me to edit my wordpress blog from my favorite text editor, vim. I found the tarball and worked over the ~/.vim/plugins/blog.vim for my personal settings. The command set is simple enough. It was simple to install and seems simple to operate. When I get this post complete I can’t wait to view my site. So here we go….